If you’re one of the 400,000 people heading to East Rutherford, New Jersey, this year to watch the the two hottest NFL teams (perhaps the Seattle Seahawks and the Denver Broncos?) duke it out in Superbowl XLVIII, there are three things to keep in mind when planning your trip: price, weather, and transportation. Here’s our advice: Hotel prices will be high—book early with Hotel Engine to get the best deal possible. The weather could be iffy—be prepared for full-on winter. Traffic will be crazy and parking will be expensive—NJ Transit runs special rail service for large events (for info about public transportation to MetLife Stadium, click here). Here are our top 10 Superbowl hotel recommendations for the best combination of price, quality, and convenience. There are many other hotels in the area that are already sold out. At the time of this writing, all of the properties on this list have rooms available. The Meadowlands Plaza Hotel is located in Secaucus, New Jersey, about 3 miles from MetLife Stadium. With rooms ranging from two queen beds to a two-room suite, this hotel is an excellent choice for families and small groups. Best of all, there is free parking and free breakfast, which means you’ll have more money to spend on big foam hands and other must-have Superbowl souvenirs. If you’re looking for a hotel within walking distance of the stadium, this is your spot. The Quality Inn is located about a mile and a half from MetLife, so it is about a 25-minute walk—which is probably less time than you would spend navigating traffic or waiting for an empty train. This isn’t a fancy place by any means, but the hotel is currently being renovated so ask for one of the new rooms. Remember, you are staying here for the location, not for the ambience. Days Inn is a no-frills chain with quality you can rely on. The North Bergen location is conveniently located for attending the big game and exploring the Big Apple. This hotel is pet-friendly and kids under 12 stay free, so it is perfect for families. There is also an onsite restaurant where you can fuel up before heading out. Also located in North Bergen, Comfort Suites is a step up from the Days Inn in both quality and price. The hotel has a variety of room types, some of which can sleep up to seven people, and offers a free hot breakfast. The property is highly rated on TripAdvisor for its location and its large rooms. The Holiday Inn Express in North Bergen is near Newark Penn Station, so you can easily hop on the train for the big game. As with all Holiday Inn Express properties, this hotel has offers free breakfast and free parking. Reviewers love the location and deem this hotel one of the best bargains given its ease of access to surrounding attractions. Comfort Inn Edgewater is about 10 minutes from MetLife Stadium. The recently renovated hotel has free breakfast and free parking, and many rooms have a view of the river and the New York City skyline. This isn’t a fancy establishment, but it has a decent Walk Score (68) and good reviews—anyway, you are there to see the game! For those willing to go a bit farther afield for an upgrade in accommodations, the Crowne Plaza in Englewood, New Jersey, is just the ticket. It’s located just under seven miles from East Rutherford and ten miles from midtown Manhattan. Guests can enjoy the pool, access to a nearby fitness center, and the onsite restaurant and lounge, which serves up Kobe beef burgers and classic cocktails. If you’re planning to spend some time in the Big Apple, why not stay in New York City and take the train out to New Jersey? Since the hotels near the stadium have increased their prices for Superbowl weekend, New York’s traditionally high hotel rates are actually quite competitive! 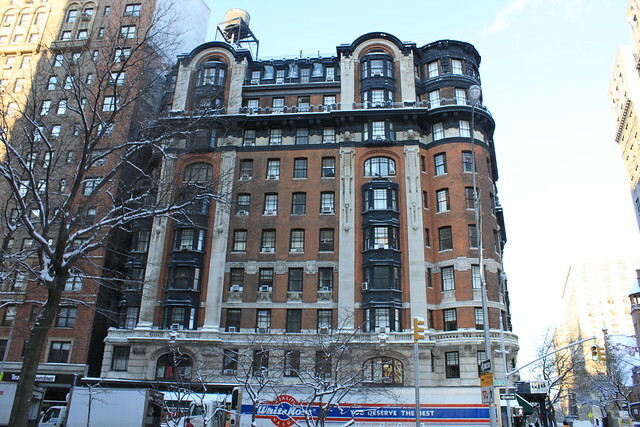 Hotel Belleclaire is a boutique hotel in an early 1900s building on the Upper West Side, conveniently located near Central Park and the subway that will take you to the train station. The rooms are small, but who goes to New York to stay in their hotel room? Football fans who appreciate a little luxury will enjoy the Lucerne Hotel, also located on Manhattan’s Upper West Side. This boutique hotel combines old world European charm with all of the modern amenities. Reviewers love the location (Walk Score 100), the service, and the price, which is quite reasonable by New York standards. Finally, for travelers who want a New York City experience at New Jersey prices, the Days Inn on Broadway and 94th in Manhattan is an excellent choice. The hotel is newly remodeled, with a Club Floor, new fitness center, and other new amenities. The onsite restaurant is highly rated, and the location is hard to beat. If you are heading to Superbowl XLVII, now is the time to start planning your trip. Many hotels are already sold out, so book your room today!